In the OS Name Book John O'Donavan suggests the derivation Cnoc Lomannach [JOD], 'hill of the pinnacle'. This would account for the anglicised form Knocklomena. There seems to be some confusion between Ir. 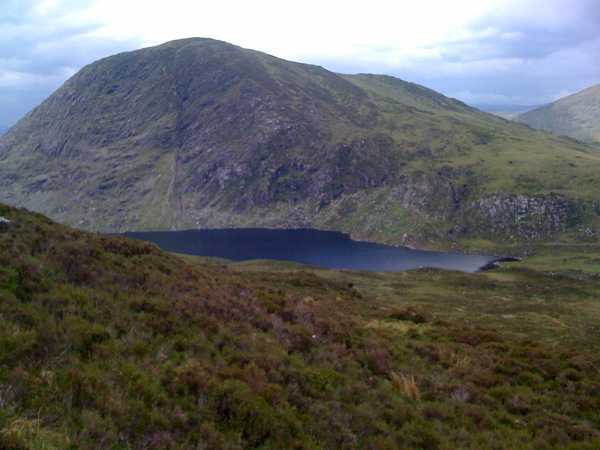 meannán, 'a kid goat' and mionnán, 'a pinnacle'. Knocklomena is the 215th highest place in Ireland.